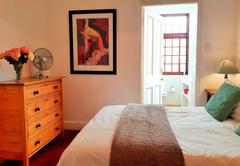 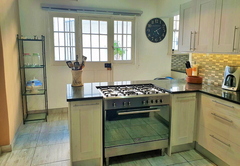 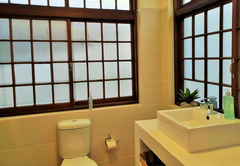 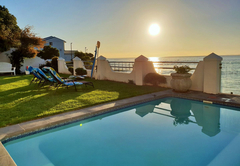 Westbank Holiday House is a property providing self catering in Gordons Bay for up to 8 guests visiting the Cape Helderberg region. 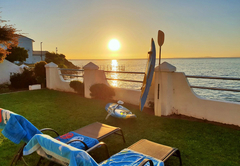 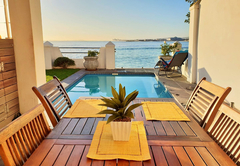 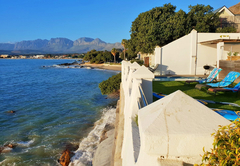 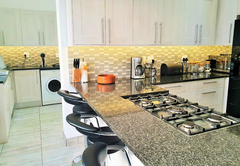 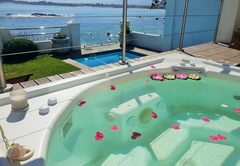 Situated on the beach in Gordons Bay, Westbank Holiday House is a beautifully renovated private beach villa offering self catering accommodation for 10 guests. 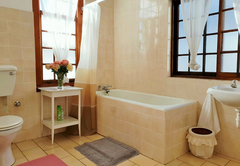 Here you will be close to many attractions and activities in the area. 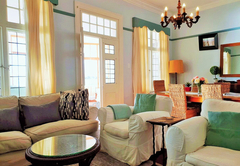 The villa boasts wooden floors, Colonial style high ceilings and modern touches throughout. 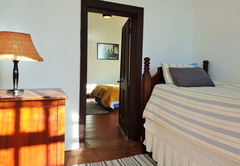 There are five bedrooms and four bathrooms. 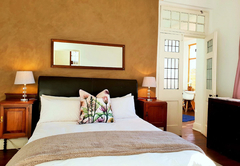 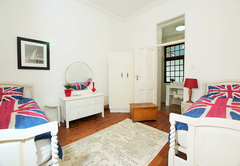 Most bedrooms are furnished with a double bed and some have two single beds. 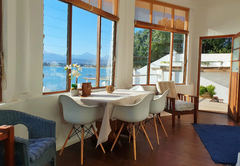 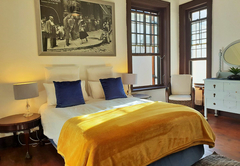 There are two comfortably furnished, spacious lounges and a fully equipped self catering kitchen complete with dishwasher and laundry facilities. 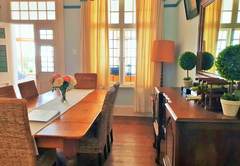 The lounge has a fireplace and is equipped with DStv and there is a dining table for six. 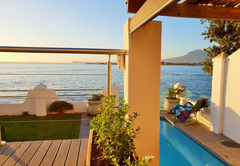 Guests can take a dip in the pool, relax on the deck in a Jacuzzi and enjoy the braai facility area which is well furnished for outdoor eating and sheltered from the weather on windy days. 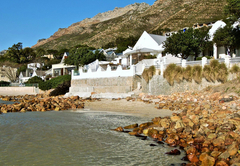 The gardens are well maintained and lead straight onto the beach. 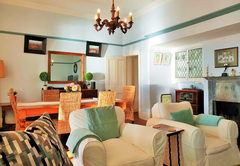 Response timeWestbank Holiday House typically responds to requests in 5-10 minutes.